Let’s get the obvious out of the way, first. 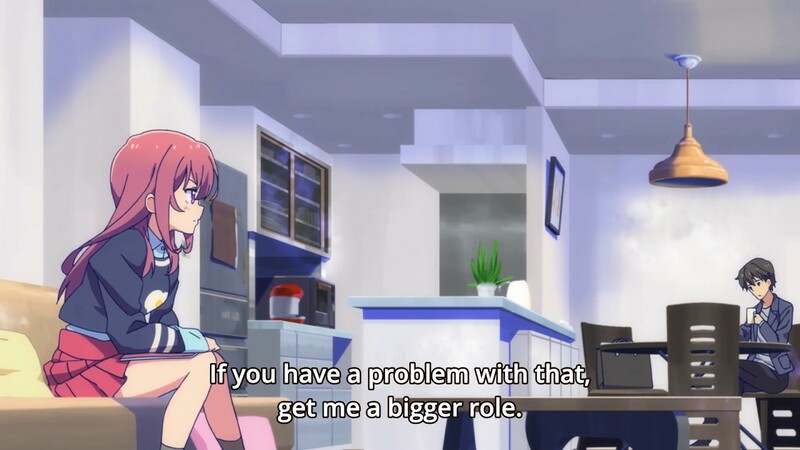 Chitose Karasuma’s character from the show gi(a)rlish number can be insufferable at times, where she often comes off as ridiculously obnoxious or self-entitled. It wouldn’t be an exaggeration, either, to say that her unwieldily attitude was the reason that many people dropped the show early on during its Fall 2016 run. 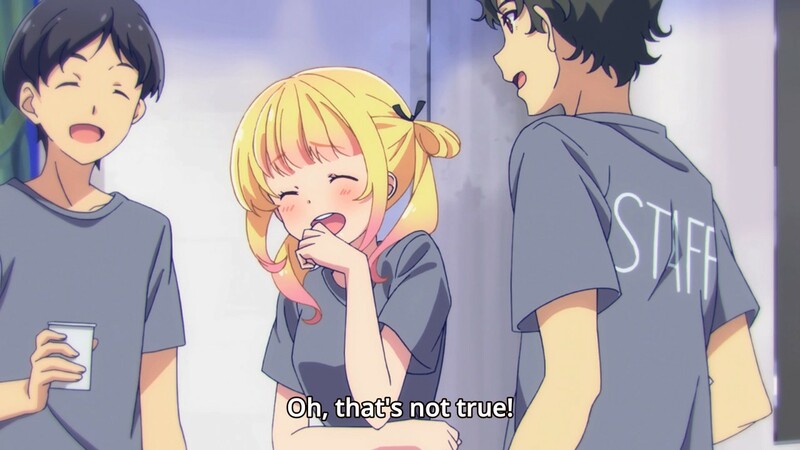 There’s also the fact that some people unfortunately compared the show to Shirobako given its setting within the anime industry, which made it subject to slews of criticism that smacked down on the show’s overly caricature-ish depiction of the anime production process (and I’m talking to you, Kuzu-chan). But on closer inspection, the show seems less a satire on that industry than it is, really, a satire on the millennial mindset and the struggles they face in the modern day workplace. And this only becomes much clearer come the latter half of the series when it explores the troubled career paths of its two industry veterans, Momoka and Kazuha. 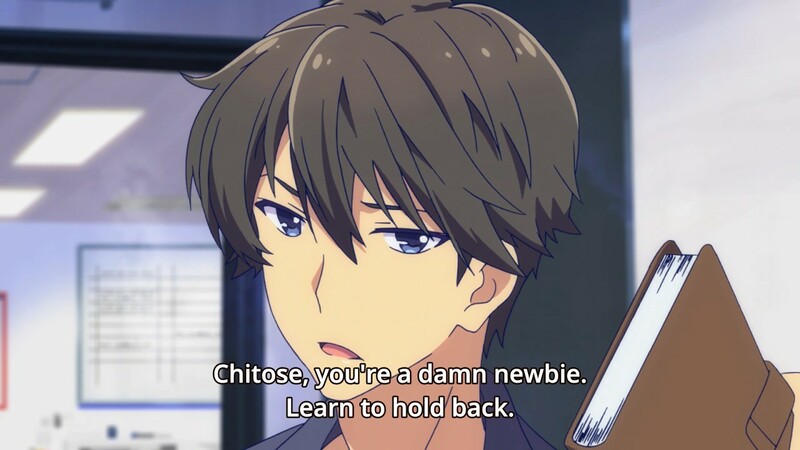 This also probably lends more strength to the argument that anyone who felt irked by Chitose’s unruliness is perhaps not so different from her in a more literal sense. 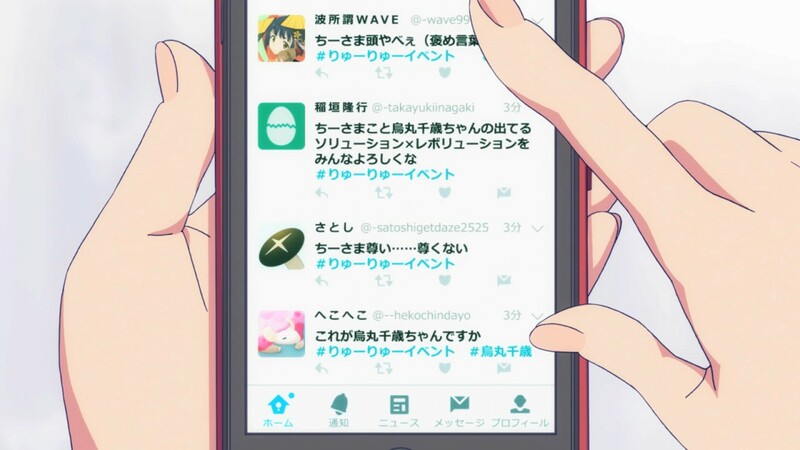 But take note, Chitose being a satire on the millennial mindset means that she is obviously exaggerated, meaning her character is pretty much the personification of anything and everything that infuriates you on Facebook or Twitter multiplied by ten. So even if you refuse to see yourself in her, that’s probably just a sign that the issues of the troubled millennial are not so estranged from you as you’d like to think. Because like it or not, the millennial struggle is a real one. If you’ve ever heard a story from a friend that so-and-so quit their job after just six-months because they felt like it was pointless, or that they weren’t leaving an impact — or even simply because they felt like their company’s upper management was a joke — that’s the millennial struggle for you. It’s a complex problem involving early disillusionment stemming from what some anthropologists like to refer to as “failed parenting strategies”. To understand what this means, let’s take a look back at the generation of our parents (baby boomers) and grandparents (“silent” generation). Our grandparents grew up during the great depression and the world wars, so their mindset was basically one brought up in adversity. “The world is a terrible place, so you have to stock up for the future” was essentially their mantra, so it makes sense that their parenting strategies placed emphasis on job security for their children (our parents). In addition, their pessimistic outlook in life meant that our parents were taught to have few expectations on what to expect. So it should come as no surprise that the rapid economic growth that followed the second world war was, indeed, beyond our parent’s expectations, and gave them a generally optimistic outlook on how their efforts translated to the success they were able to achieve in life. To some extent this is true, and I won’t undermine their efforts by saying that success would have come to their generation regardless of what amount of “effort” they put in to it — but the point I’m trying to state here is that the baby boomer mindset was just that: “work hard and you will succeed”. And it’s this mindset that was pushed on to the millenials growing up. We were taught that if you really wanted something, you could actually get it. There was an emphasis on the uniqueness of the individual; you were special. There were prizes for “effort” for people who got last place in a track and field event. And if your parents were insistent enough, they could push for a reconsideration of your grades if in case you got a low mark. The Millennials basically grew up with a generational silver spoon in their mouths — the heavy lifting had been done by the ones that came before them — so it seems almost tempting to say that the obstacles had been removed by the baby boomers, meaning all that’s left is for the millennials to perform, right? Well, not really. Today, workplace dissatisfaction is rampant; millennials are accused of being lazy, self-entitled, and unmotivated. And really, can you blame them? In spite of changing generational values, industry (i.e. the workplace) has yet to embrace a similar movement in values to the point that there is now a disconnect. Millennials raised in the mindset that they could become anything they want given the right attitude are now being hurled into a demoralizing industry that does NOT value individuality and does NOT reward failure. The bar was set really high for the millennials, and their expectations were similarly brought up to cloud nine — only for industry to yank them down to earth with what we call “reality”. But the only “reality” that the millennial has learned is this: that they aren’t special. And this is tragic, especially given that the millennials are told and even think that it’s their fault. But the truth is it isn’t — they were simply dealt a bad hand. 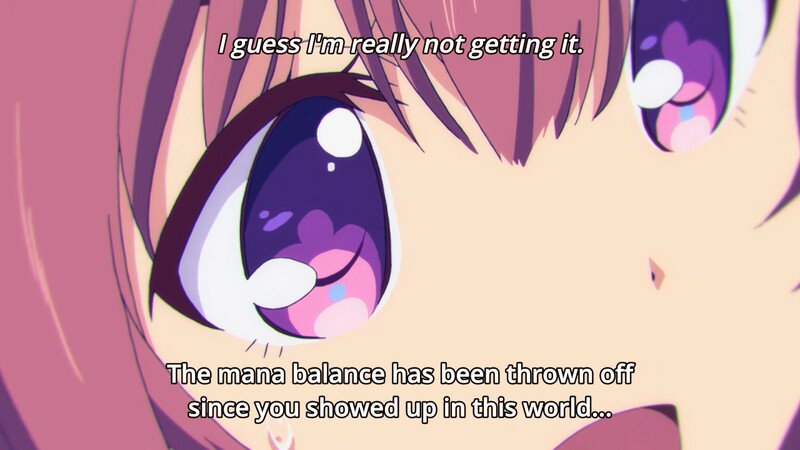 As early as the first scene of the show, gi(a)rlish number gives us a taste of the kind of chaos this disconnect between the millennial mindset and industry has caused, and how seemingly innocuous situations actually speak heavily towards a progressively worsening situation. In the first scene, for example, Momoka and Kazuha are seen murmuring specifics to one another regarding their cues during the event. Although sounding highly professional, the obscured camera angles and lack of eye contact imply a cold, emotionless sort of workplace ethic that is juxtaposed against the otherwise bubbly speech in the background. Even Chitose shoots a questioning glance at them, hinting that something is obviously off. In the best case scenario, the options left to the disillusioned millennial is to simply concede to the status quo of industry. It’s a kind of numbing of the ego that makes for the artificiality of Momoka when she is seen giggling with co-workers after the event, or the discontentment of Kazuha when she is seen arguing with her manager. And it’s this resignation that makes for a very convenient excuse when things don’t go as planned: that’s just the way things are; that’s the way they want it done, so who are we to complain? In the worst case scenario, some might even find no option other than death; tasteless as it might seem to put it that way, but unfortunately true. Because the reality is that these things really ARE happening. Millennials are going through this phase of disillusionment, resigning themselves to the idea that it’s their fault and that the only way to cope is to accept the droll reality of their existence and just carry on. The result is a millennial feeling like their life was purposeless with little meaning. It’s either that or insist on their own individuality amidst a demoralizing and unfeeling industry. And this is what makes Chitose’s character so special. She is obviously an irregularity — a person who is so full of herself that she totally ignores and even disrespects the status quo. She actively calls out industry flaws to justify her laziness and shortcomings, and emulates the actions of people who “have it made” if only to boost her own self-esteem. 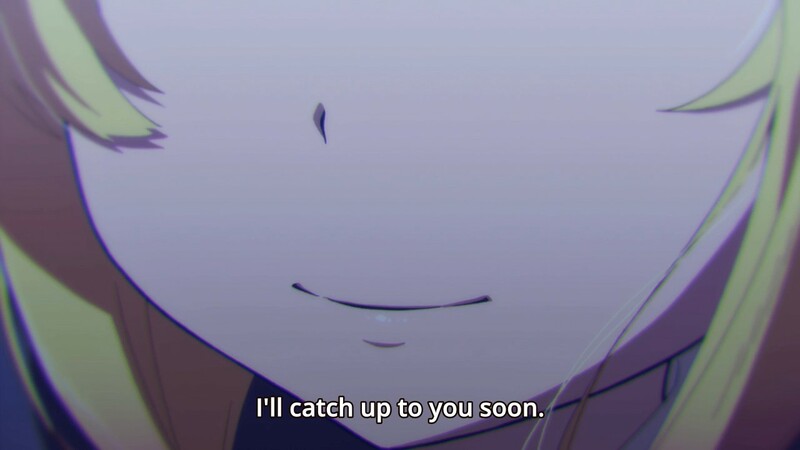 It’s this genuineness of Chitose’s character that appeals to Momoka, and eventually even Kazuha. But Chitose is not exempt from the qualities that make her vulnerable as a member of the millennial generation. One of these vulnerabilities is impatience, combined with a need for instant gratification. And again, I’d like to stress the fact that this is not a fault of the millennial generation, per se. We grew up in a world of constantly improving efficiency — increasing internet speeds, online shopping, binge streaming of anime online — to the point that this form of instant gratification is even translated into the workplace. Unfortunately, success in the workplace — or even life, in general — isn’t instant. It’s something that takes time, effort, and patience; something that Chitose obviously lacks given her incessant complaints. 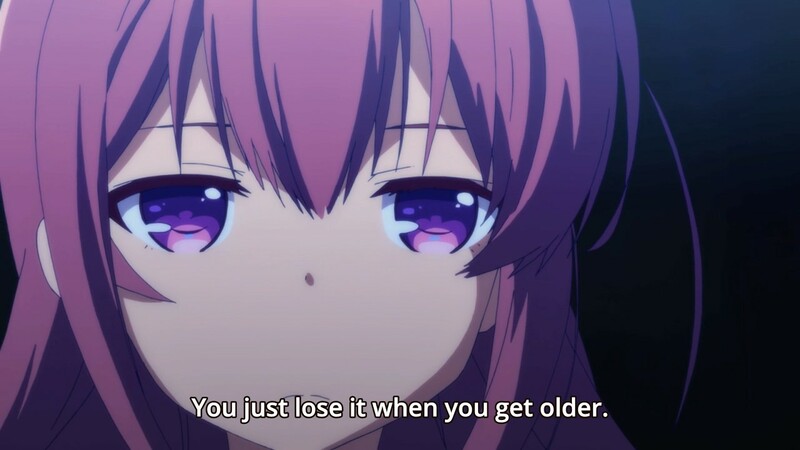 But even when Chitose gets an opportunity to shuttle her career forward in a lead role, she gets caught up in the whole ideal of finally “having it made” to the point that she simply emulates the mannerisms of her seniors instead of actually putting in the effort needed to meet her part. And in some ways, I feel a little guilty on that regard. It often feels good to be able to speak from a position of authority. It feels good when you have that “lucky break” that shoots you past other people on the path towards success. It’s always a nice feeling to imagine yourself at the pinnacle of your career, often forgetting that in order to reach the summit in the first place, you have to go through a long, arduous journey that involves a lot of climbing, slipping, and re-climbing. 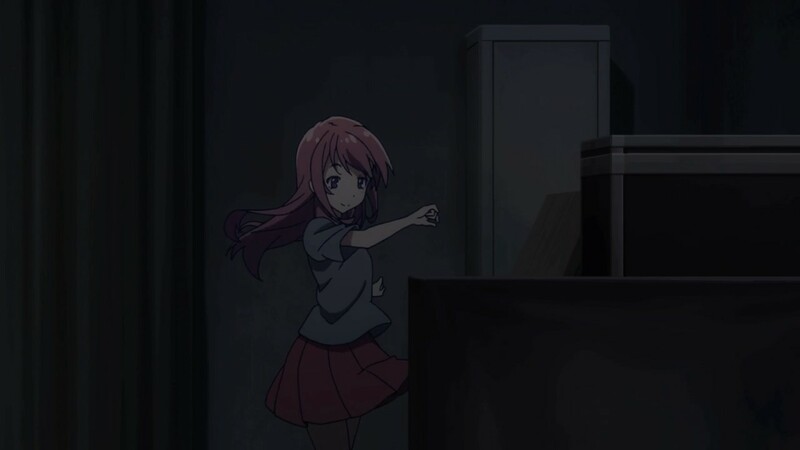 And this is the struggle that Chitose faces when she realizes her own inadequacy in episode 3; the danger of getting caught up in your own successes. 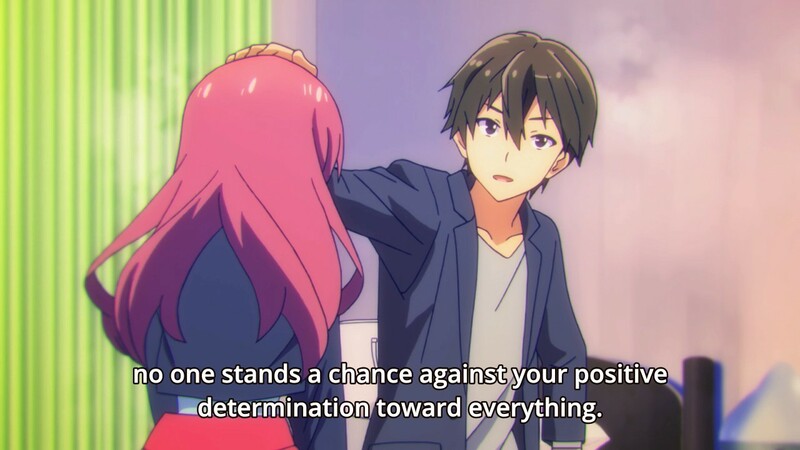 And this is one of the major lessons gi(a)rlish number tries to teach to millennials — that success is the product of hard work, and that success is not simply a matter of arriving at your goal; rather, it’s the act of overcoming the obstacles that stood between you and your goal in the first place. 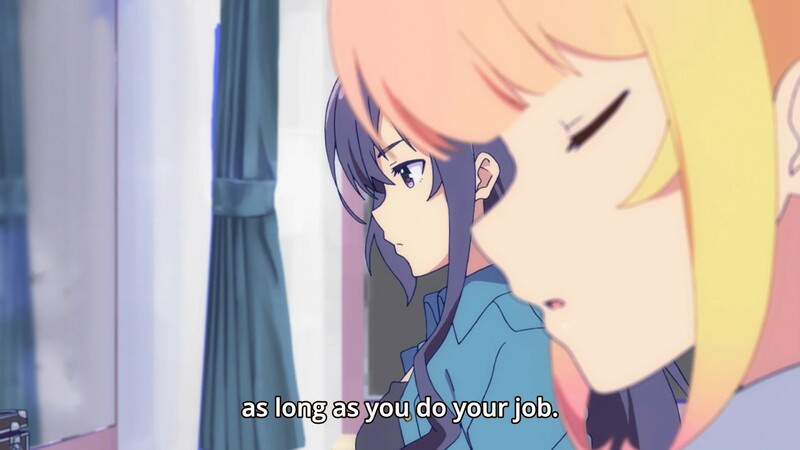 But Chitose fails to realize this and ends up basking in her own self-imagined glory whilst her colleagues went on to better themselves and even got more opportunities for employment than her. 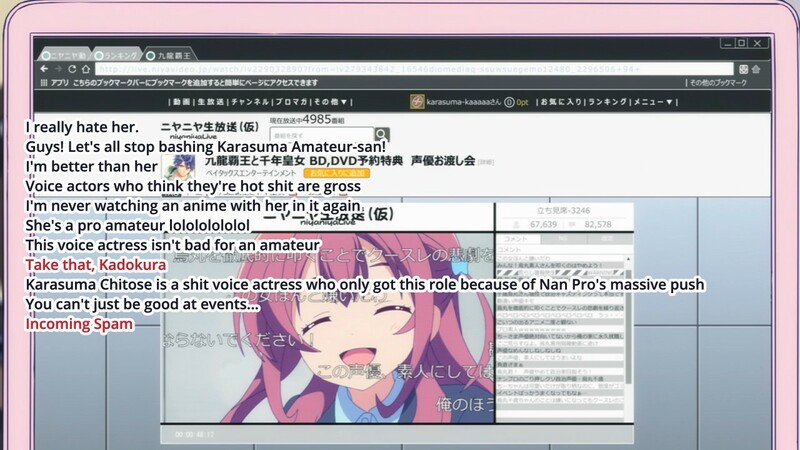 And when Chitose loses sight of her own relevance with the appearance of Nana, she is forced to re-examine the very reason why she got into voice acting in the first place. Because one of the biggest problems confronting Chitose — as well as millennials in general — is that of changing forms of social interaction. 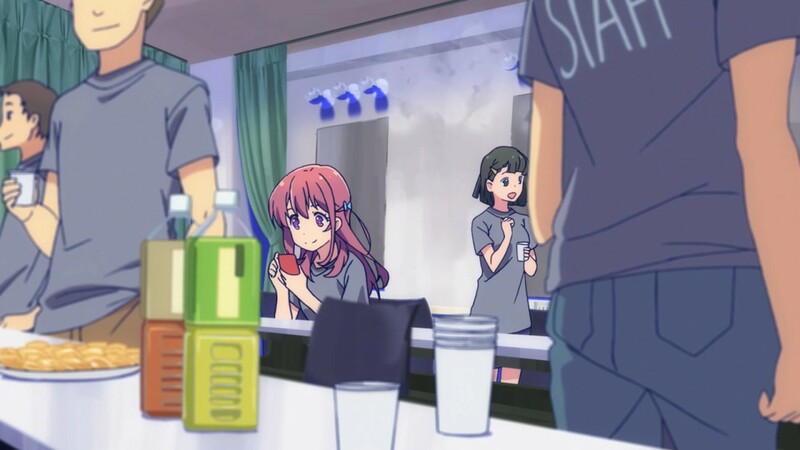 In the first episode, for example, we see Chitose sitting in the changing room busily tapping away on her cellphone checking tweets while she is literally walled off by other members of production who are having casual conversations with one another. It’s here that we see an obvious peculiarity: Chitose derives more satisfaction from the comments of people who are not physically present (and are also strangers) than from the very people she worked with who are actually standing right next to her. And many millennials will admit that they feel many of the relationships they’ve established online are superficial, often fulfilling more of a functional role than a form of emotional support. In fact, our coping mechanisms as a generation have shifted from deep interpersonal relationships into the more fleeting, quick-fixes of internet shopping, binge watching, and the occasional “like” on Facebook or Twitter. It’s these acts of instant gratification that affirm and reassure our already battered egos. 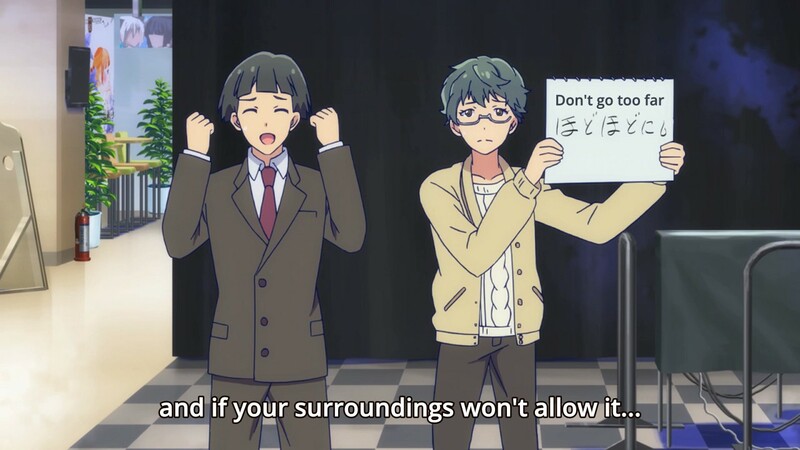 And yes, Chitose is guilty of such tactics. 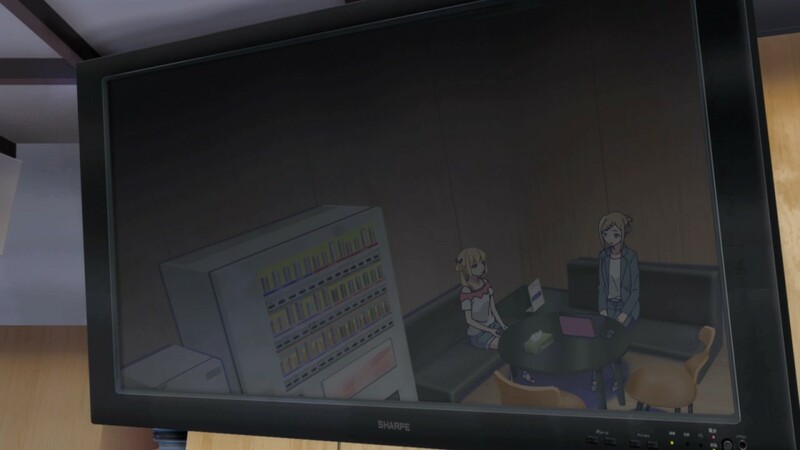 In Episode 4, for example, after a disastrous pilot screening of their anime, she retreats to a corner in order to re-read compliments of her in her Twitter feed, even though Koto and Yae are in the same room with her. But social media is what it is — artificial, if not highly filtered. And the ways in which it can make us feel good about ourselves are the same ways in which it can make us feel more terrible and wretched than we already are. And Chitose learns this the hard way when the comments on a live stream of her appearance were less than desirable. So when these emotional support surrogates fall short of the empathy that we need in order to get through a demoralizing society, it falls upon the deeper interpersonal relationships. 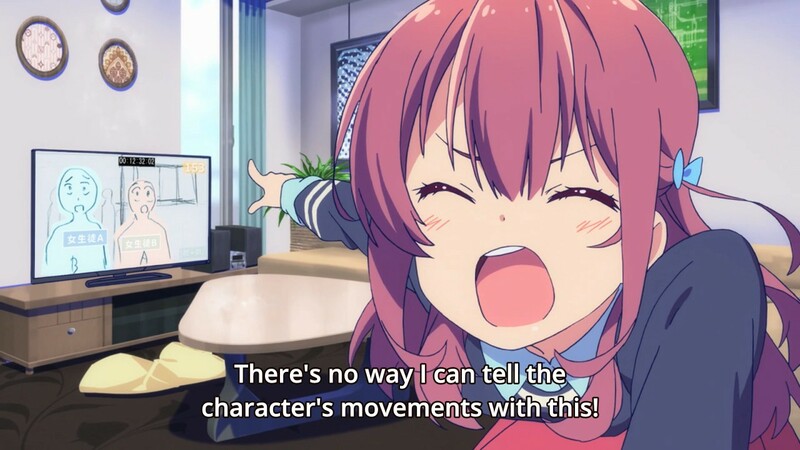 And we see this movement in character dynamic through the charming development of the two voice actresses that I alluded to earlier on: Momoka and Kazuha. Both of them are victims of an industry that had failed them. In Momoka’s case, she was the daughter of a successful voice actress, and industry’s attempts to secure her future along with their expectations of her career path made her feel trapped in a cycle of inevitability. She felt like she couldn’t determine her own role, even though everyone around her was telling her that the decision was up to her. Because most of the time, her decisions were based off of others’ expectations of her, anyway. It’s Momoka’s lack of an inner voice to express her frustrations that makes her victim to a system that she feels she cannot escape from. And so she resorts to indifference if only to please others and maintain the status quo. For Kazuha, her frustrations stem from industry’s lack of commitment towards its supposed goals, and a similar lack of commitment from her own colleagues. But it’s because of her lofty ideals that Kazuha maintains a sense of superiority, which alienates herself from other members of industry. This creates friction and resistance that tends to thwart rather than promote her own growth in the field; the dangers of such obviously being burn out and depression. 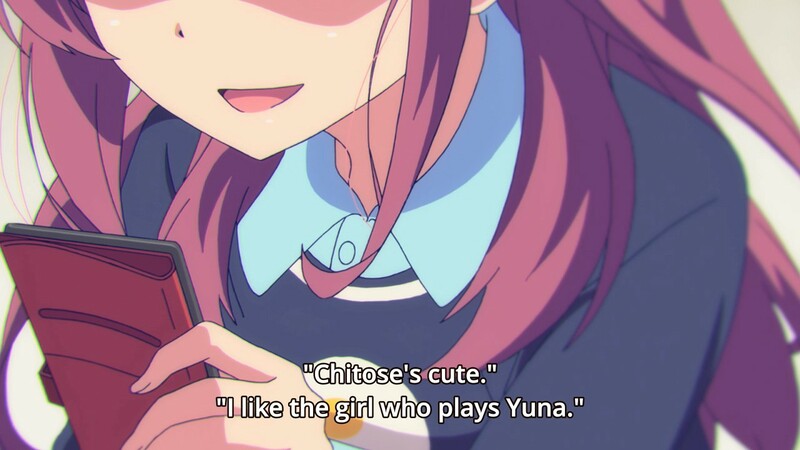 But what both of these characters needed to learn was seen in the attitude of Chitose. In Momoka’s case, she learned that it is okay to express disdain and defiance, and that in being honest towards your own feelings, you can engage more earnestly in the things you do. In fact it’s not that she never wanted to do voice acting in the first place; rather, she wanted to do things on her own terms. By being honest with herself, she was able to remember the reason why she became a voice actress in the first place. It wasn’t because her mother was one herself, nor was it because it’s simply what industry thought would be best for her; rather, she wanted to engage and connect with her mother in a way that was meaningful to her — as a senpai. 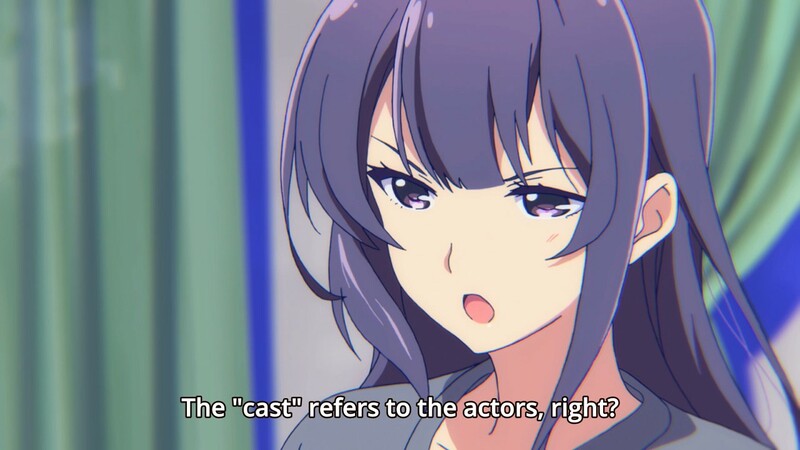 As for Kazuha, she was enamored by Chitose’s ability to honestly enjoy her work as a voice actress despite knowing the many flaws of industry. 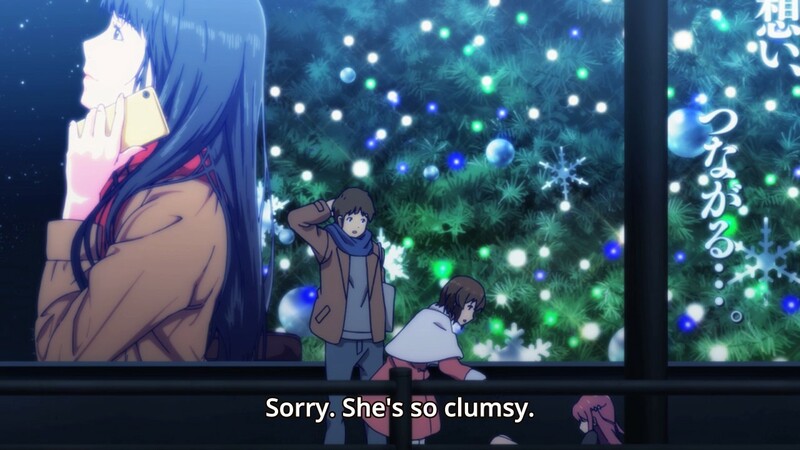 This brazen honesty highlighted the inauthenticity of Kazuha’s character and how she is forced to put up appearances for the sake of production. It’s this same rhetoric that she uses to argue with her father, which only furthers her own dishonesty towards her own feelings. Is it even possible for her to pursue what she wants in this industry? And the answer she gets is that it is impossible alone; rather, it requires the help of kindred spirits. 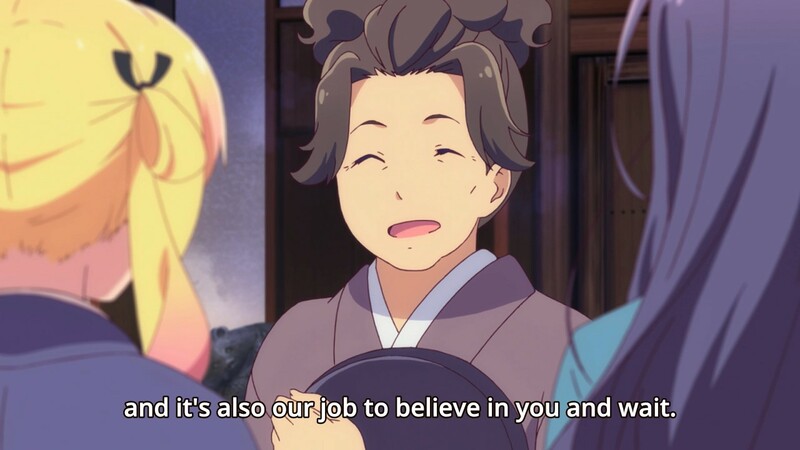 People like her family, Momka, Koto, and even Chitose to help ground her and give her reason to keep believing that there is reason to enjoy the work you do despite hardship. That the journey is far better spent in the company of friends than it is alone — because it will be a long journey to the top, and knowing who you can count on will simply make it all the more worth it. 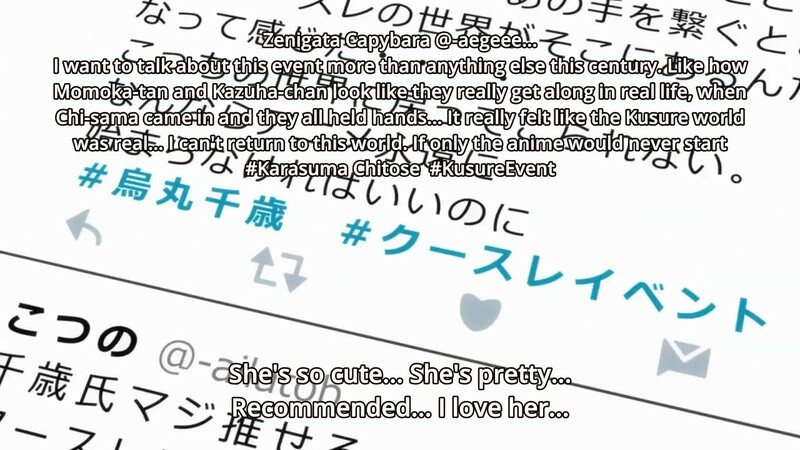 But in the end, what is Chitose’s character trying to tell us? That by embracing our own individuality we can overcome the perils of a messed up industry? Chitose’s fall before grace spells a more tempered tone with regard to the subject of our own image of self-worth. 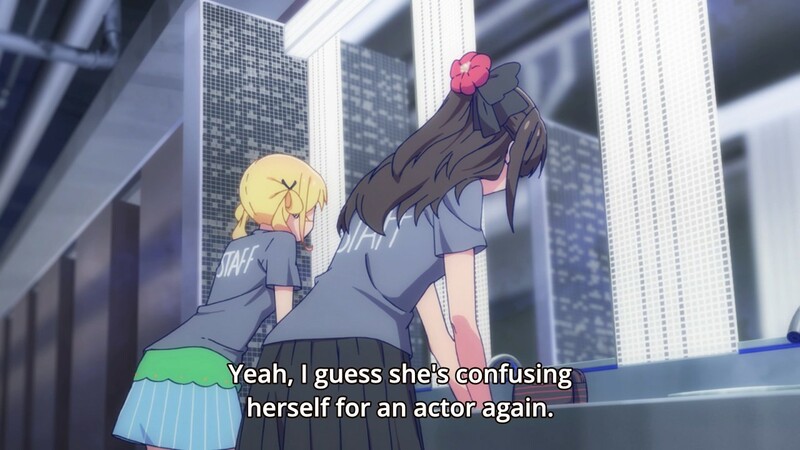 Indeed, Chitose always considered herself special for having landed a lead role early on in her career, but this is shattered when a newbie Nana comes along and scores not just an early debut as a lead character herself, but also gets a debut CD. This is further exacerbated when Nana ends up taking Gojo as her manager, making Chitose feel like her entire career was something replaceable — her relevance was beginning to be put into question. And this is a familiar rhetoric for the disillusioned millenial. In a demoralizing industry that places more importance over results rather than effort and emphasizes conformity over individuality, it is easy to lose sight of one’s own image of self-worth. It is easy to conclude that we are NOT special. 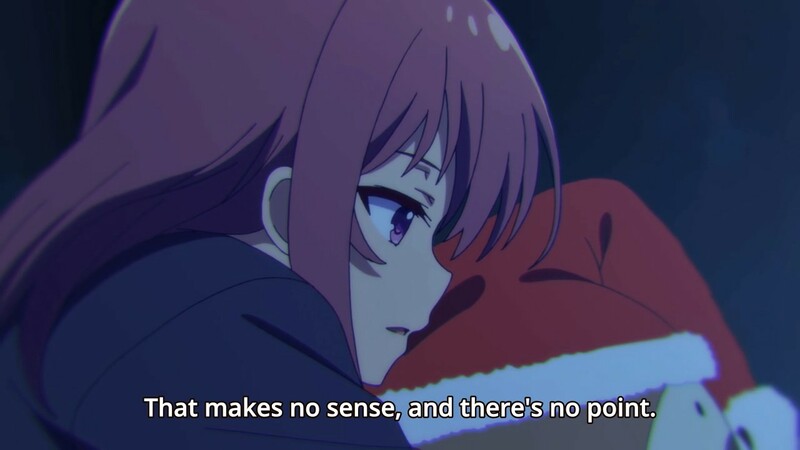 No matter how obnoxious or self-entitled Chitose made herself up to be, even she succumbed to the weight of reality, feeling like there was no point in wanting to change for a system that was just so messed up. She realized she wasn’t special at all in the eyes of society, and that her relevance to industry was subject to the whims of chance. But the charm of Chitose’s character is that she’s too honest to deny her own self-absorbed desires. True, she isn’t special — and she knows that quite well thanks to what happened — but after finally hearing words of affirmation from her own brother, she finally realized the thing that motivates her. 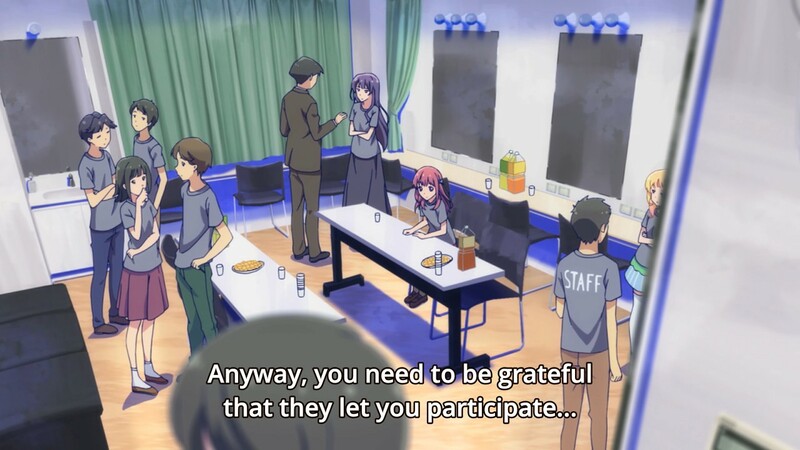 It’s not enough to think that you are special — for gi(a)rlish number at least, there is a plea in Chitose’s character for all millennials to actually wish to become special. And not just special to anyone in particular; rather, special to the people that actually matter. 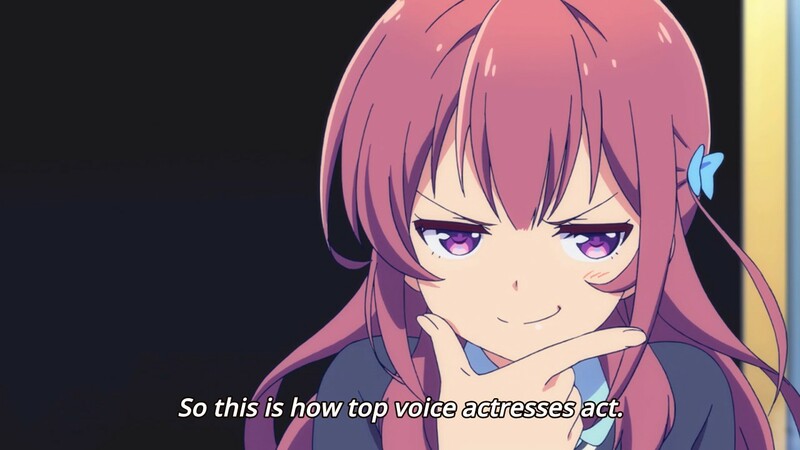 In the case of Chitose, that meant being special in the eyes of the older brother who made her want to enter the voice acting business in the first place — to receive recognition from the voice acting prodigy himself that she is, in fact, amazing. Chitose’s response to that praise is a sudden burst of action — dashing towards the recording studio on foot after learning that the trains are delayed — and a subliminal message of tossing aside the creature comforts of modern technology through a broken iPhone. All of these actions point towards Chitose’s epiphany in character and the means by which her growth is now the result of effort born out of purpose, and motivation fueled by the support of kindred spirits. Chitose isn’t special because of anything of her own doing; she’s special thanks to the people that make her special. It seems like a very circuitous route to have to come to this type of conclusion, especially in light of the fact that the reality still remains that industry is still lacking behind in realizing the potential of the millennial. The millennials are in fact a group of highly talented individuals with incredible ideas just waiting to be discovered. However, this is watered down by an unyielding industry that fails to realize that potential. 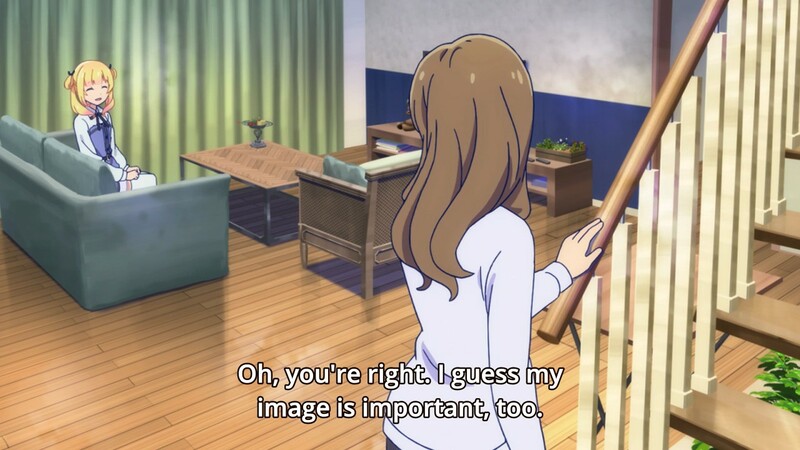 And Chitose summarizes it quite elegantly by stating that it is pretty much everyone’s fault, but at the very least — knowing what she knows now — she wants to move forward with the intent of expressing who she is, personally, in everything that she does. Very intriguing and impressive! I like your arguments, although I am not entirely in agreement. 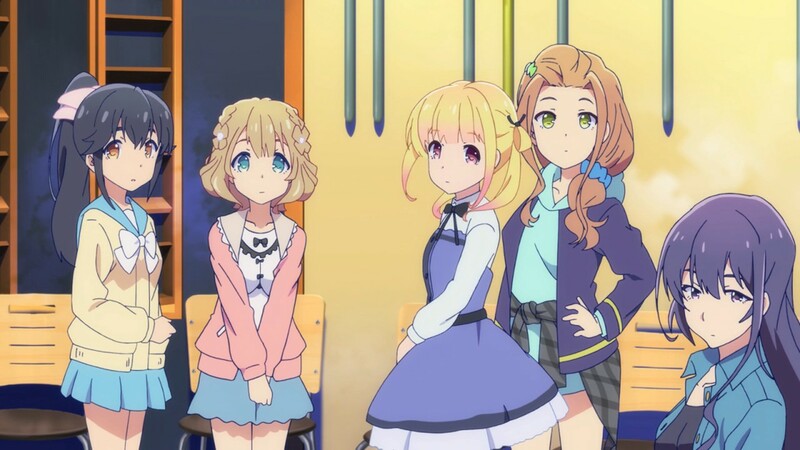 To begin with, I immediately compared Girlish Number with Shirobako–with the caveat, however, of pointing out that the two shows approached the industry differently, Shirobako using its characters to explore and explain the industry, while Girlish Number used the industry setting to highlight its characters. 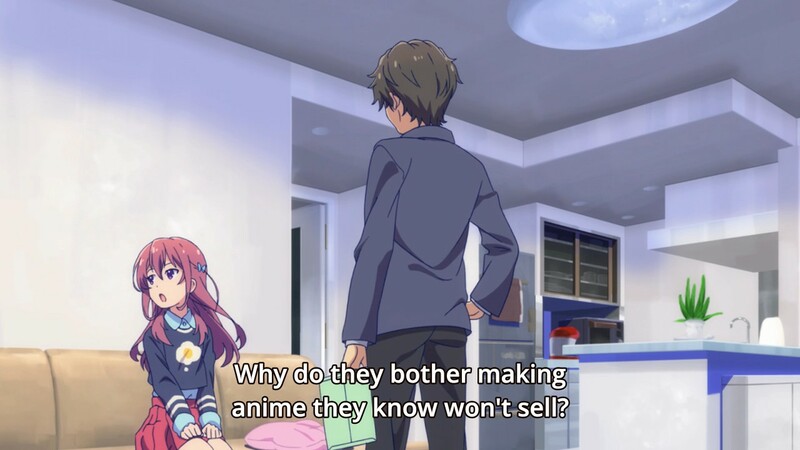 In related vein, I see Shirobako as ultimately being story-driven, but Girlish Number as being character-driven. Also, I can’t help but wonder at the absence of my own generation (Gen-X) in your timeline, which jumps from Baby Boomers straight to Millennials. If Boomers found unexpected success in careers, it was my generation that again began to seek personal meaning in our work. We wanted our efforts to have meaning, although we did not necessarily expect it. The Millennials felt the impact of our longing, but misinterpreted it as a fait accompli and acted accordingly. Still, these are only minor points, with your observations proving keen. I find your character assessments to be especially accurate and instructive. Thanks for the fun read! Generation-X has always been a strange distinction from me, given I see a blur between members of the said generation leaning towards the boomers and some (me included) leaning towards the millennial demographic. 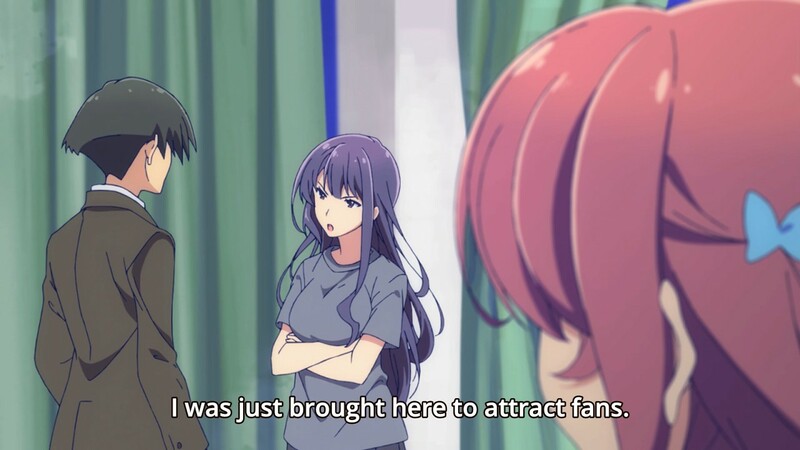 Part of the reason why I left it out was because I don’t really understand that particular generation well enough to discuss it, but for the purposes of making a distinction between the characters of Girlish Number and the current millennial climate, it seemed much simpler to simply compare them with the baby boomers. 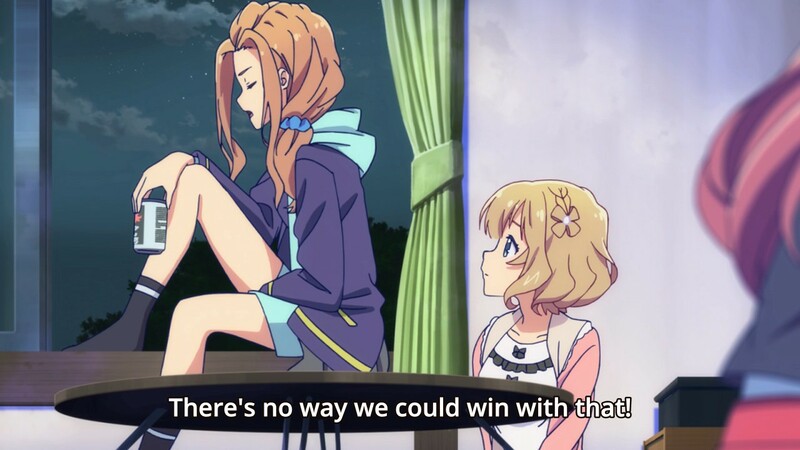 I agree that it is still possible to compare Girlish Number with Shirobako, but I believe they serve different purposes. 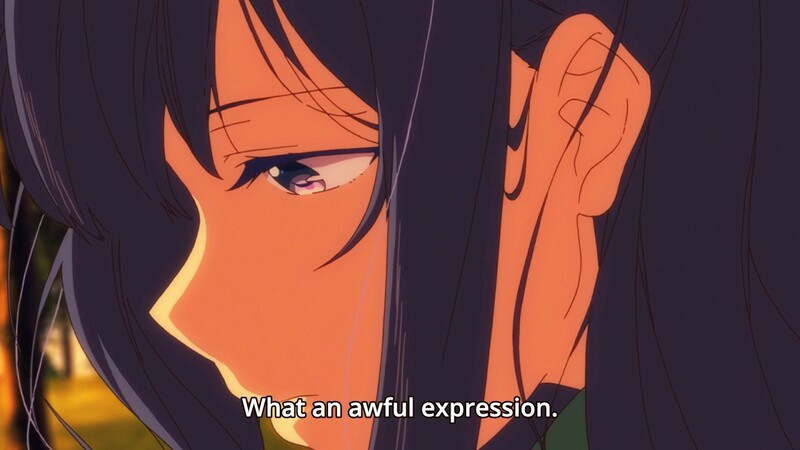 My belief is that some people didn’t give Girlish Number a chance because they were looking at it as a story-driven narrative similar to Shirobako, as you mentioned. 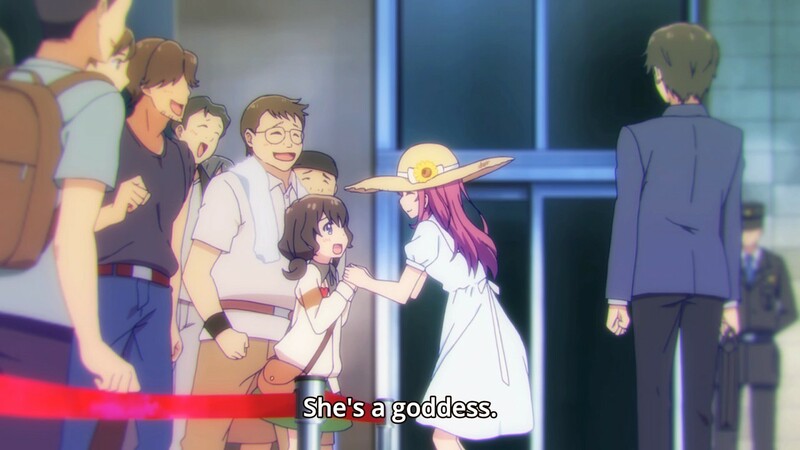 Indeed, Girlish Number is a character drama at its core, and is something I’m thinking of looking more into as I analyze each of the characters. I’m honestly quite thrilled that each of the characters in this show have something to say about the Millennial attitude. It’s a shame that it only received a rather lukewarm reception last season. It’s not Wataru Watari at his best, but it certainly does have a lot to say about the modern day work ethic. Interesting article. 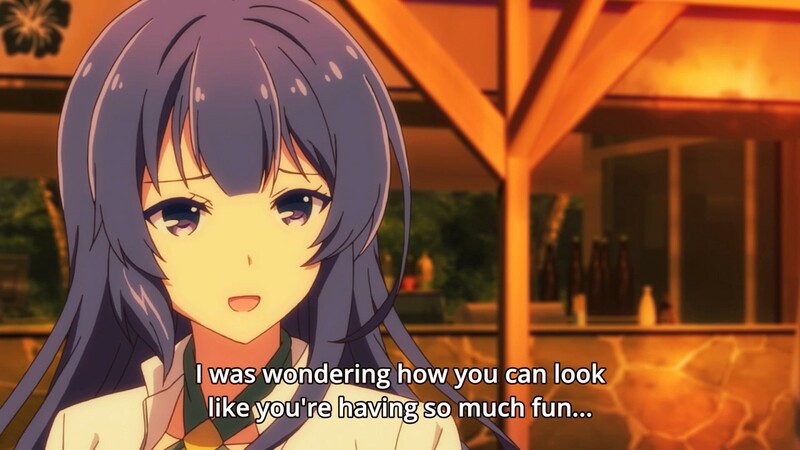 I didn’t make it through Girlish Number mostly because I find characters who whine about life being unfair really irritating. I did enjoy seeing your link between Chitose and Millenials though and felt that this article gives a lot to think about. Thanks for sharing. See, i’m the opposite. I deal with whiney people on a daily basis so I don’t want to watch them when I’m done. Haha, good point. Poor Chitoses of the world. Loved reading this. I was very pleased to see you note the significance of Chitose’s phone becoming cracked, which was a moment that had caught my eye but I was unable to convey my thoughts on the scene. It’s a shame the show received a lukewarm reception. The character drama might have been frustrating for most of the season, but the last few episodes brought it all together like this essay. I think the cracked phone is an obvious jab at the millennial. Anyone who wasn’t affected by it is obviously NOT a millennial, hah! Haha, you’re so right. The scene was surely calling out to all of us millennials! Wow, I never thought about this when watching it but your point of view makes sense. And yeah, the cracked phone. That really annoyed and worried me when mine cracked. Eek.